Youth for Human Rights (YHR) Israel members Orna Bloom (left) and David Kritsun (center) with volunteers, collecting signatures on a human rights education petition. Israel, a fusion of cultures, languages and traditions, was built by immigrants from a multitude of ethnicities. While its population may be 75 percent Jewish, even they were originally immigrants from across the world. Add the Arab population, the Samaritans, the Christians, the Bedouin tribes, the Druze, etc., and now a wave of African immigrants, and to call Israel a melting pot would be an understatement. Numerous Israeli Supreme Court rulings to protect the rights of these diverse groups incorporate the UN Universal Declaration of Human Rights (UDHR) into their country’s laws. But it is the knowledge and application of the UDHR’s 30 articles that are key to creating peace amongst this nation’s diverse members. The awareness of this fact led YHR Israel, helmed by David Kritsun and Orna Bloom, to take on the task of reaching all inhabitants of Israel with the UDHR. More human rights education delivery was done to Palestinian workers in the Zorganika date field on the Israel-Jordan border. Then there is the Shevah-Mofet High School in Tel Aviv which serves mostly Israeli-Russian students, children of immigrants from the former Soviet Union. An event was held on International Human Rights Day with attendees a meld of Druze, Christian, Muslim and Jewish faiths. There are the seminars at the Eritrean Women’s Community Center, the seminars to the Sudanese immigrant community and those to the Bedouin community in Abu Tlul, a township in southern Israel. YHR also carries out petition-signing events with a petition that teaching the UDHR’s articles become a mandatory part of the education system. These petition drives take YHR Israel to the flea market in Jaffa, one of the oldest parts of Tel Aviv, and on Rothschild Boulevard, one of Tel Aviv’s principal streets. 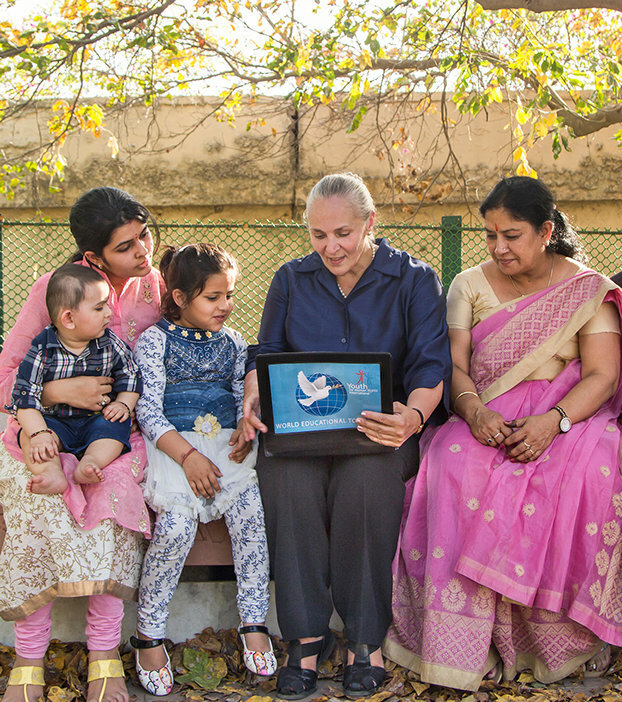 YHR Israel knew they were making an impact when the East Jerusalem Municipality Education Department gave the green light to train their teachers to deliver to more than 80,000 kids. Delivery started immediately. 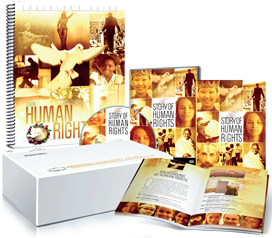 Hear the story of Youth for Human Rights International’s Founder and President Dr. Mary Shuttleworth at scientology.tv. Getting together other individuals who want to join you. Ordering the United for Human Rights (UHR) materials you need on humanrights.com or Youth for Human Rights (YHR) materials at youthforhumanrights.org. 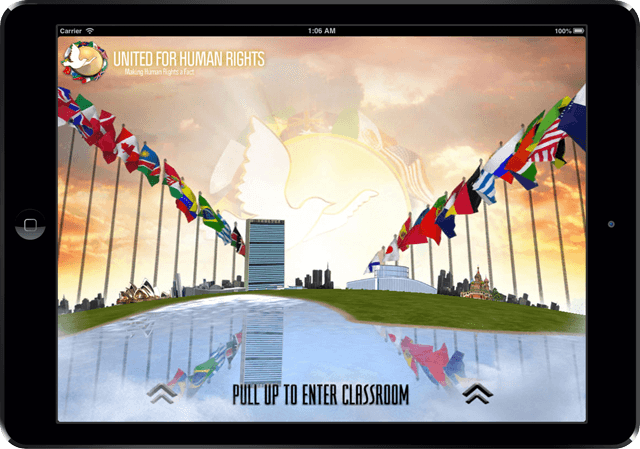 Start delivering seminars, hold petition drives and other activities using the UHR and YHR materials. Let us know that you want to form a chapter and attach the photos of your activities. For inspiration and to learn more about YHRI’s President Dr. Mary Shuttleworth, watch scientology.tv. As a child growing up in apartheid in South Africa, she witnessed rampant human rights abuses, inspiring her to form YHRI.